Mamdoh Rouhani (MR) : I believe that Vision-X VP Awards this year will introduce new standards to the optical industry in the Middle East. Through the accumulation of last year’s experience and the fact that this year’s award covered a wider range of entries and more importantly the key names and manufacturers of the optical industry; the combination of these factors will significantly increase the reach of the Award. The Award will play a crucial role in raising awareness about quality and excellence in the optical sector in the region. MR : It was quite impressive and there was a clear and significant amount of improvement in the quality of the products that were enrolled for this year’s Award, especially in the frame and spectacle categories. MR : In addition to every participation spread in 15 categories, I believe all the frame categories were of high standards and made a relatively fair representation to the sector. MR : I think the most important role that the Vision-X VP Awards platform will have is of raising the awareness of opticians and other players in this sector. 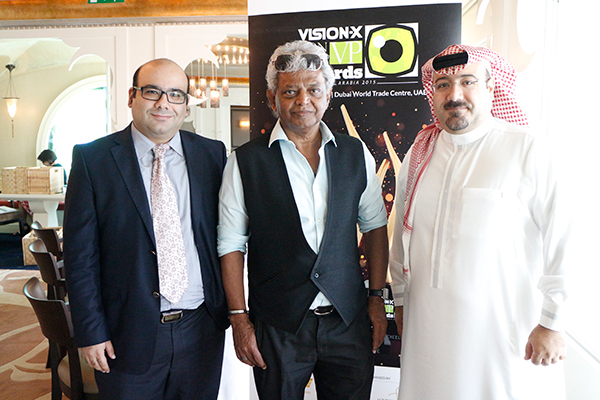 The Awards is not just another event, but it also plays an important element in creating the culture of quality and excellence in the optical sector in the Middle East. MR : I am a big fan of online retailing but at the same time I also believe that it’s a very tricky area. As for the role that online retailing will play in terms of its impact on the development of optical trade, I know for a fact that it will evolve as the future of the industry. However, I don’t think that this evolution will be the near future. After all, this type of development needs pioneers dedicated towards the cause which we are yet to see.